Denver, Boulder and the surrounding region offer an amazing natural panorama for outdoor enthusiasts and contain some of the best hiking in the world. With such a bewildering wealth of hikes at your disposal, author Kim Lipker presents the reader with a variety of the very best trails in the area, and most within an hour's drive or less. 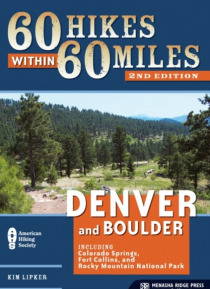 Including hikes near Fort Collins, Boulder, and Colorado Spr… ings, 60 Hikes within 60 Miles: Denver and Boulder is the only guidebook that pinpoints great hikes that are also close to home.